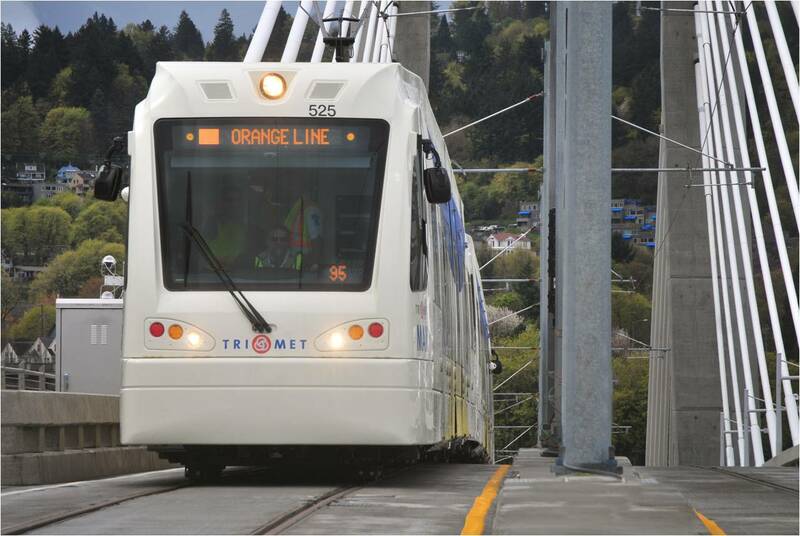 On Sunday, Aug. 30, MAX Orange Line test trains will begin running frequently along the 7.3-mile route between Downtown Portland and north Clackamas County. Orange Line trains will operate on their regular schedules but not pick up riders during two weeks of simulated revenue service. The Orange Line opens on Saturday, Sept. 12, at 11 a.m.
Also starting on Aug. 30, MAX Blue, Green, Red and Yellow line schedules will have minor adjustments to accommodate the new Orange Line into the system, as well as to improve reliability and connection times. View the new MAX and bus timetables to see how these changes may affect your trips. Orange Line trains will run from around 5 a.m. until around midnight on weekdays and 1 a.m. on weekends. Trains will run about every 15 minutes or better between 5:30 a.m. and 9:30 p.m. Again, trains will not be picking up riders during simulated revenue service Aug. 30 through Sept. 11. With new train operations, the public should be alert of approaching trains. We’re stepping up our safety efforts to educate motorists, bicyclists and pedestrians about being safe around trains. On Monday, Aug. 31, the Transit Police Division and the Portland Police Bureau’s Traffic Division will begin a multi-week safety campaign at the SE 8th, 11th and 12th rail crossings south of Division Street. We’ve seen risky behavior at these light rail and heavy rail crossings. People violating traffic and pedestrian control devices will be issued warnings or citations. Additionally, as fencing and gates are being removed along the Orange Line, we want to remind the public that for their safety and the safety of our riders and operators the Orange Line tracks are for transit-use only. 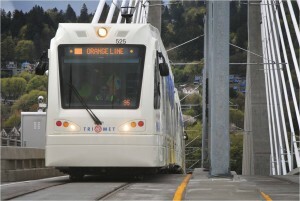 The transit-only trackways include the Harbor Viaduct (east of SW Naito Parkway), Tilikum Way (east of SE Water Ave) and Tilikum Crossing, Bridge of the People. Trespassing in the track area is hazardous and illegal. Tilikum Crossing — the only one!